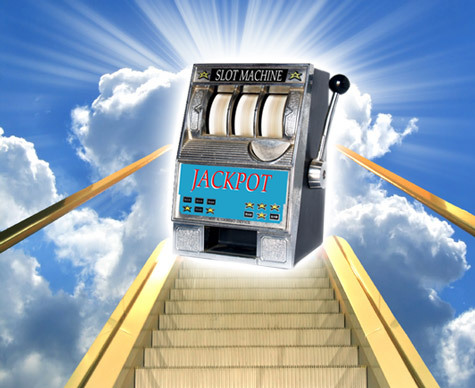 I can’t prove the reliability of this, but a source familiar with the details of the Eddie Long scandal has told the Redding News Review that the final figure for settlement comes to around 24 million dollars! What began as a $2 million agreement to settle the case for each of the four men quickly rose to $5.5 million for the respective plaintiffs, the source said, only because Long refused to publically admit guilt. The men are to divide $2.2 million equally and then receive $400,000 in payments until the money is paid out over the next 20 years, the source said. The final figure comes to $22 million for the four men and $2.8 million for the plaintiffs attorneys. Bishop Eddie Long not only robs God of the 24 million dollars but he also robs God the honor of his name. Eddie Long is not a martyr. If you think Eddie long is a victim in this fight, then you need to wake up. Eddie had lots of power and lots of money, and i’m sorry with that much influence you better know that some people want your money and your power. In that case, you need to be able to defend it. If you choose not defend God’s name and instead settle for 24 million; then there’s only one of two things going on here. One, you let the appearance of evil creep in and it would be virtually impossible to defend against your foolish and immature allowances. Or two, you were actually guilty of the accusations. Either way, i didn’t hear Eddie Long describe either situation, or publicly admit to any mistakes on his part. Our justice system would not allow any group of punks off the street to come in and accuse any high profile figure of anything without some form of proof. I doubt there would even be a lawyer to take the case based on someone’s word of mouth. Instead, Eddie stuck his nose in the air, and decided to use donations from those who are poor and are widows to smooth out his mess. As i’m writing, i think about how hypocritical this is more and more. 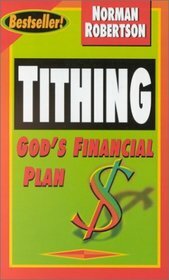 Prosperity gospel preachers rant from the pulpit about robbing God for not tithing. And yet, they are the only ones who are taking; everyone else is giving. I have not kept on this “Bishop Eddie Long,” but felt that a few comments might be worth mentioning. First of all, I am reminded of growing up with listening to Dr. Walter Martin. Now was he against the prosperity name-and-claim-it preachers? You bet he was. However, his crusade was more against the “Christian” cults like Jehovah Witnesses, Mormons, Christain Science, etc… . With the hostile take-over by Hank Hanagraff with a shameless tactic to have his recent widow read a paper at the funeral to suggest his succession into the CRI and Bible Answer Man radio program, I have to say his crusade was pretty hell-bent against these very types of name-it-claim-it preachers. Is Hank correct, perhaps, but I think the means and the verocity of his emphasis really made the ethos of apologetics take a nose-dive. We are to be prepared to give an answer to everyone who asks of us, but with humility. “As the Father sees in every person the features of his Son, the firstborn of many brothers and sisters, 21 so the Secular Franciscans witha gentle and courteous spirit accept all people as a gift of the Lord 22 and an image of Christ. 23 1 OFM Rule, 9:3 (O., 39); Mt 25.40. Now there a few history lessons that I think needs to be taken from the era of St. Augustine. We must come to a realization that God has given men gifts, and perhaps this Eddie Long has a God given gift that he has abused, I pray the Lord help him live a life worthy of repentence (penance). There was a time when there was a great persecution and some bishops handed over many sacred (and expensive) artifacts and books of Christain antiquity to be burned and even led many Christians to their death as martyrs. These bishops were called “traditors.” The reaction against these Traditors is an emotionally understood and we can sometimes offer such sympathies. However, the bishops were reinstated desite their past behavior during this persecution and such sympathies were raised to a fever pitch and became known as the Donatists. Donatists were condemned by St. Augustine and the Church. Lessons to be learned by all is that there ultimately needs to come forgiveness. Secondly, in which many will depart from my opinion, the sacraments distributed by these traditors were understood by the Donatists to be invalid sacraments. It is not my intent to argue the sacraments in this blog, but there does need to be recognized within a worldwide communion a need for strong identity by tying the intent of our beliefs and words with corresponding actions. I cannot speak for others, only myself, but I left the Episcopal Church USA because their sacraments are rendered meaningless because it lacks the whole worldwide Anglican communion’s ascent. Until the ECUSA’s actions are recanted or the whole Anglican communion decides it is ok for women pastors, active homosexual bishops… they will continue to own a crisis within their Anglican communion. 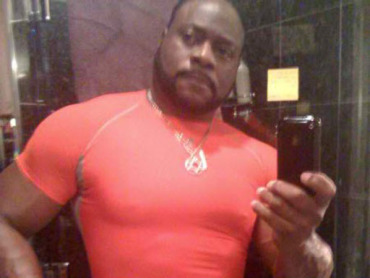 Back to Eddie Long… We need to forgive him, treat him with respect that God expects of us. It does not mean we have to trust him, St. Paul was distrusted at first due to his recent past as a persecutor of “The Way.” When Jesus asked in the Gospel about two debtors, one owning much debt and another with lesser debt, when both their debts were forgiven He asked who would love more? The one with a greater debt forgiven was the answer. Time will only tell if the Holy Spirit will change this man, but we are God’s hands and feet. Perhaps our mistreatment of him, despite his own sinful actions, will make us just as responsible. Just some food for thought.